There’s a lot to like about Triumph’s Explorer, including excellent comfort, rugged styling and an amiable three-cylinder engine. 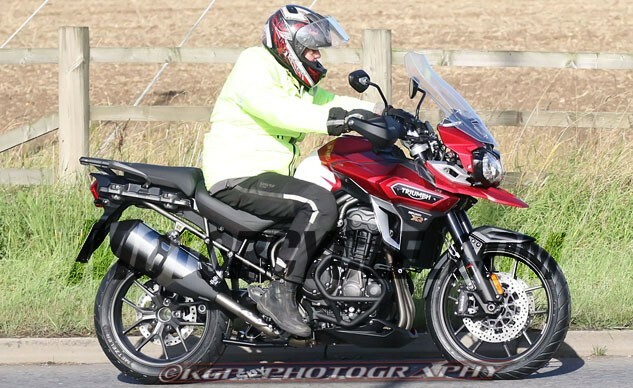 However, our recent nine-bike comparison test of adventure bikes revealed the Explorer falls short of competing on level terms with the latest and greatest in this rapidly evolving category. But now we can see that Triumph is preparing to launch a comprehensively reworked Explorer in at least two versions: the off-road-ready Explorer XC and the road-biased XR, similar to what Triumph did last year with its Tiger 800 platform. The XR in these photos appears to be in its finished form, undisguised and ready for production, here in its up-spec XRT guise with finished paintwork and badges in place. The XRT is a new addition to the 1215cc Explorer range, which currently consists of the alloy-wheeled, road-oriented Explorer and the wire-wheeled Explorer XC with greater off-road pretensions. The 2016 XRT sports updated bodywork and mudguards, plus a new seat (surely adjustable for height), Brembo brakes, new wheels, an electrically adjustable windscreen and a revised exhaust system. New electronics with multiple ride modes and advanced ABS and traction control systems are also expected. The T version of the XR features semi-active electronic suspension from WP similar to that used on KTM’s 1290 Super Adventure. The base XR model will also use WP suspension, but without the electronics. Given the bike’s showroom-ready appearance, it’s likely that this particular prototype is being used for brochure photography, with the official unveiling of the bike, along with all its specifications, just around the corner in Milan at EICMA. Our moles also spied a prototype version of the Explorer XC variant undergoing pre-production trials. The 2016 Explorer XC gains a raft of improvements, including new styling – the nose, sides, exhaust and seat are revised – and technical updates including improved engine electronics, new suspension, better traction control and multiple riding modes. The brakes are also being swapped from Nissins to radial-mount Brembos. 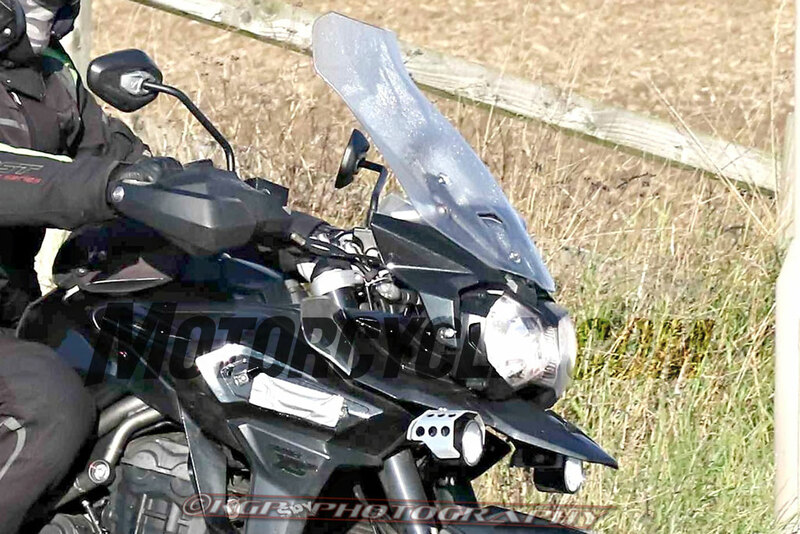 It’s also going to be offered, like the Tiger 800 range, in several different forms. The base Explorer XC will use new WP suspension, while the higher-spec XCA (for “Adventure”) model seen here will gain more exotic electronic semi-active WP forks and a matching rear shock. The XCA version is also given away by parts like the auxiliary lights and alloy bash-plate, plus aluminum luggage. 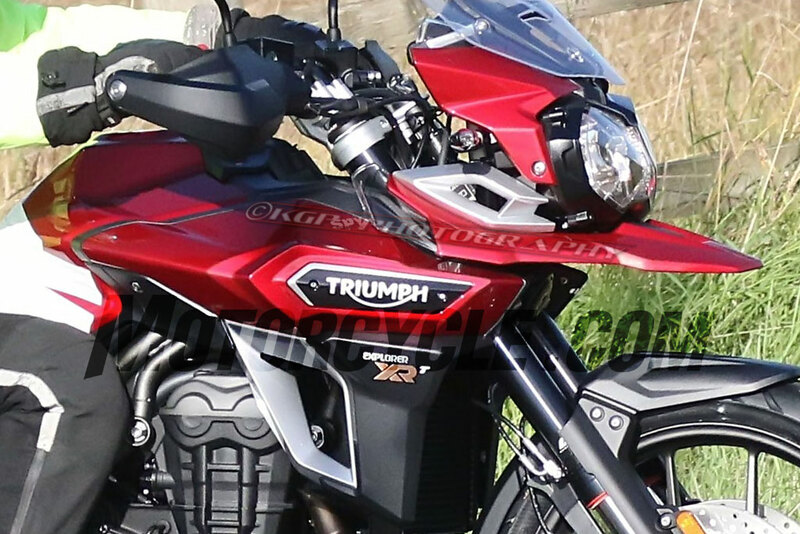 There’s also likely to be a mid-line XCx variant, gaining some of the off-road parts like the lights and bash-plate but missing out on the semi-active suspension. The road-oriented Explorer range will similarly expand to include XR, XRx and XRT (for “Touring”) variants, with the same styling and technical changes but 17-inch alloys instead of the XC’s 17-inch rear, 19-inch front wire wheels. 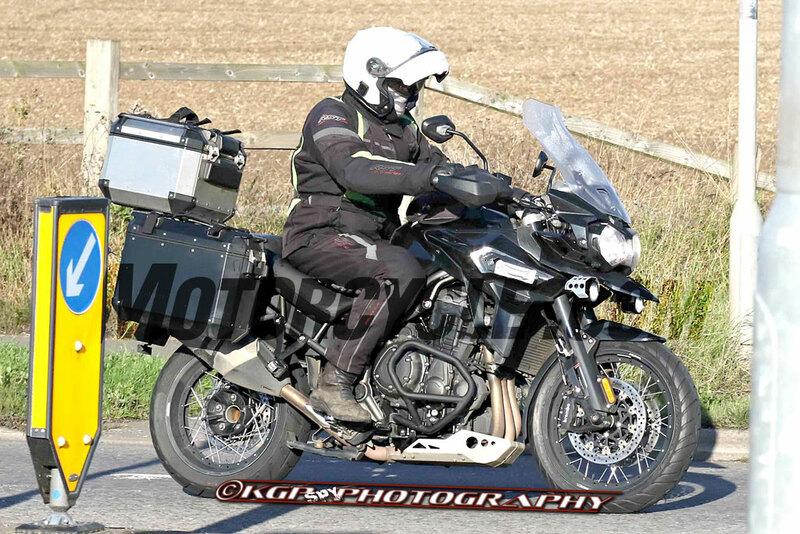 All the new Explorers are now reaching the end of their pre-production development phase, and the bikes are expected to be officially launched in the near future. Get price quotes for Triumph Tiger from local motorcycle dealers.